MOE, LARRY, AND CURLY IN I'LL NEVER HEIL AGAIN!!. THE THREE STOOGES. 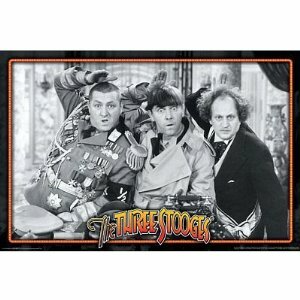 Wallpaper and background images in the Three Stooges club tagged: moe howard larry fine curly howard. This Three Stooges photo might contain anime, fumetti, manga, and cartoni animati.